Organisers of this year’s International Bluegrass Music Association (IBMA)’s World of Bluegrass, brought to you by Chiesi USA and taking place September 24-28 in Raleigh, North Carolina, have announced a change to the annual event’s weekend festival, PNC presents Wide Open Bluegrass. Beginning this year, in addition to the 7 stages of music that are available for free in downtown Raleigh during Wide Open Bluegrass, the performances at Raleigh’s Red Hat Amphitheater will also be open to the public for free. A limited number of seats, in prime sections, will be available for those who want to ensure entrance and reserve preferred seating for every performance. Ticket prices for these seats will be offered at two reduced price points, $60 and $50 per ticket (per evening) for IBMA members or $70 and $60 for non-members. Additional sections and lawn seating will all be open for general admission, and available free on a first-come-first-served basis. Free general admission is limited by the size of the venue; once capacity has been reached, venue staff cannot permit non-ticketed attendees to enter until space is available. Audiences at the Main Stage at Red Hat Amphitheater will be treated to six hours of performances by premier bluegrass acts, beginning at 5pm each evening. With the help of our Raleigh partners and key sponsors, IBMA is transitioning our festival to a free, mission-forward event – taking bluegrass to the masses by reducing all barriers to participation. All are welcome to come hear the best in bluegrass music today – Paul Schiminger, Executive Director IBMA. Additional details about World of Bluegrass 2019 will be announced in the coming weeks. Information about Red Hat Amphitheater limited reserved seating, Bluegrass Ramble Showcase passes, IBMA Business Conference registration, IBMA Award Show tickets and hotel reservations are available at IBMA’s World of Bluegrass website, WorldofBluegrass.org. IBMA’s World of Bluegrass, whose Principal Sponsor is Chiesi USA, is a five-day annual bluegrass music homecoming and convention. World of Bluegrass encompasses four events: the IBMA Business Conference, September 24-26; the Bluegrass Ramble, an innovative series of showcases, taking place September 24-26 in downtown Raleigh and at the Raleigh Convention Centre; the 30th Annual International Bluegrass Music Awards, scheduled for Thursday evening, September 26; and PNC presents Wide Open Bluegrass, September 27-28, a two-day festival. Wide Open Bluegrass features the best of the best in bluegrass today, benefiting the IBMA Bluegrass Trust Fund—a 501(c)(3) charitable organisation that assists bluegrass professionals during financial emergencies—and introducing the music to thousands of new fans every year. As in years past, events during World of Bluegrass will take place at the Raleigh Convention Centre, the Duke Energy Centre for the Performing Arts, the Red Hat Amphitheater and at various venues in town. The Greater Raleigh Convention and Visitors Bureau reported that last year’s World of Bluegrass events generated $12.7 million in direct visitor spending for that region, with total attendance for the week’s activities estimated to be a record-breaking 223,000 people. Over 220 acts performed throughout the entire week of World of Bluegrass. Chiesi USA, Inc. is a specialty pharmaceutical company committed to research, development, and commercialisation of innovative products in the areas of cardiovascular, neonatology, respiratory, rare disease and special care therapeutics. Our primary focus is on people: the people we serve in the healthcare community; the people whose lives are touched by our products and services; and the people who work at Chiesi USA, as they strive to build their company, their family and their community. Chiesi USA, Inc. is a wholly owned subsidiary of Chiesi Farmaceutici S.p.A.
IBMA – the International Bluegrass Music Association – is the nonprofit professional organisation for the global bluegrass music community. The organization’s successful run in Raleigh is the product of their partnership with The Greater Raleigh Convention and Visitors Bureau, The Raleigh Convention Centre, PineCone—The Piedmont Council of Traditional Music, the City of Raleigh and a local organising committee. 17 Reasons to Attend WOB. You won’t find this lineup anywhere else. Featuring bluegrass greats, emerging stars and one-of-a-kind jams – It’s a bluegrass lover’s dream. You’ll hear eighteen incredible acts in two days. One and two-day tickets with good seats still available. Those attending World of Bluegrass as part of this year’s IBMA Conference were part of a record attendance for the annual event. The overall attendance for the five-day event attracted more than 180,000 people an increase of some 20% on the 2013 attendance and the largest crowd that Raleigh has experienced. The record attendance also brought Raleigh business community some added boost with The Greater Raleigh Convention and Visitors Bureau estimating some $10.8 million in direct visitor spending for this year’s WOB which is an increase of 16 percent from $9.28 million in 2013. 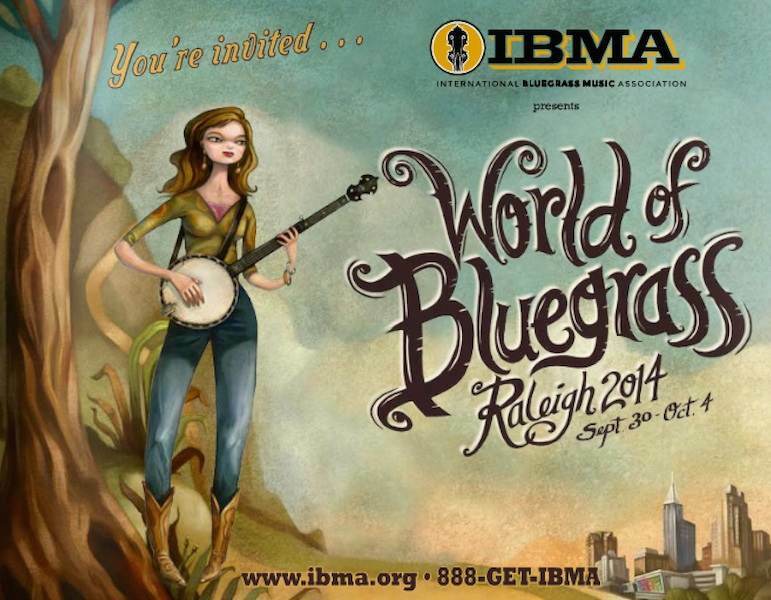 Next year’s IBMA World of Bluegrass is scheduled for Sept. 29 through Oct. 3 in Raleigh. The 2014 World of Bluegrass in Raleigh, North Carolina, USA, is fast approaching. At the IBMA’s International Committee booth in the Convention Centre, under the “Foreign Affairs” label, IBMA hope again to present as much and diverse information as possible about what is going on in other countries outside the US. For that they need your promotional materials, old and current. Things like posters of last year’s festival for instance or old editions of your newletters, magazines. And if you happen to have a video of your event or band online, send them the file and they’ll include it in their portable show of “Foreign Affair.” Send your files to angelika@ebma.org before 20th September 2014. So, bands, festival promoters, others who work in bluegrass, if you are planning to attend, bring the materials with you, and take it to booth # 608 ASAP on Wednesday, 1st October, if you are a registered attendee of the Business Conference (exhibition opens 2:00pm), or on Thursday 2nd October (9:00 am). And if you are able to help staff the booth, which is also an additional opportunity to connect with people and present yourself, please contact us at angelika@ebma.org or rienk@ebma.org ASAP. If you are not able to be in Raleigh physically, please send a packet of stuff, and they will make sure that those who are interested, can look at it and/or take it with them. Please send your display things only if you do not need them back. Materials are unable to be returned after the event. IBMA’s International Committee in cooperation with Nechville Banjos wants to put as many great bluegrass bands from outside the US on stage as possible during the World of Bluegrass week. So if you are a band from any other country than the United States that is planning to go to Raleigh this fall, or if you know of one, please let IBMA know. IBMA will be hosting an International Bluegrass booth in the Bluegrass Expo during the IBMA Business Conference Oct. 1-4; a Bluegrass Ramble sponsored evening showcase from 11 p.m.-2 a.m. at The Architect on Tuesday night, Sept. 30 in Raleigh; more international music at the Tir Na Nog in Raleigh on Friday, Oct. 3; and an After Hours showcase in the Alumni Room at the Marriott in Raleigh on Thursday night, Oct. 2, from 11 p.m.-2 a.m. after the IBMA Awards Show. Apart from the official IBMA stages,there will be several opportunities for performing from Tuesday through Friday, late at night and/or in the daytime. Please contact angelika@ebma.org, preferably before July 1, so IBMA can put the showcase programs together in time to be published through the IBMA media. 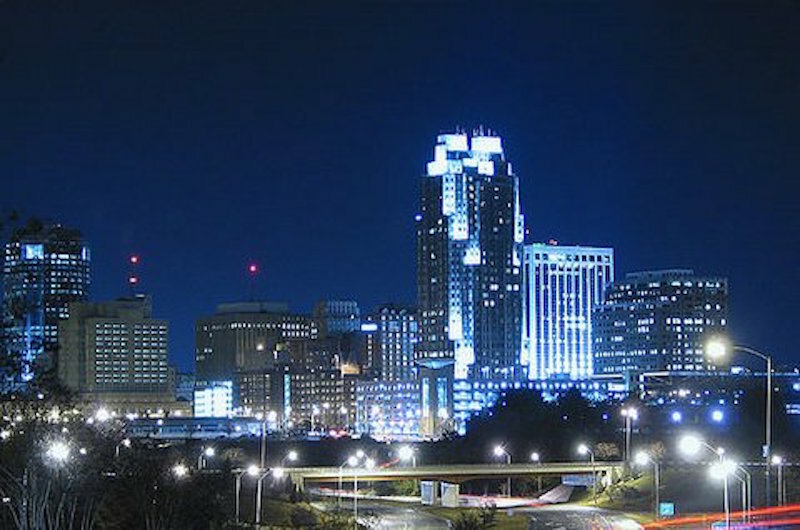 This is a great opportunity for you to reach an audience in Raleigh, and put on your CV that you have performed there. Let us show them that bluegrass music is alive and well, all over the world – Angelika Torrie, International IBMA board member. World of Bluegrass is the annual bluegrass music homecoming, taking place September 30-October 4 in Raleigh, North Carolina. The week features four separate events and hundreds of offerings for every bluegrass professional and music fan. If bluegrass music moves you, go to the conference that moves bluegrass music.